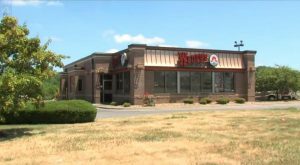 A pregnant fast-food worker at a Wendy’s near Kansas City, Mo., was dragged out of the delivery window and battered over straws, according to a local report. 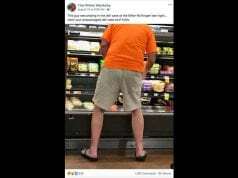 The distraught mother of Victoria Repine tearfully claims the suspects confronted the 19-year-old shift manager at around 3 p.m. Sunday, before repeatedly punching and kicking her. “No parent should ever get a call like that. 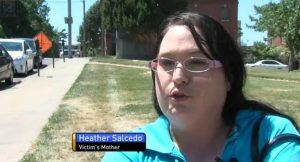 Ever,” said Heather Salcedo, as shd told WDAF-TV that her daughter is three months pregnant with her second child. The alleged assault took place at a Wendy’s along 40 Highway in Independence. A woman got out of the vehicle and confronted Repine “with her arms crossed,” Salcedo explained. The suspect then accused the teen manager of forgetting to give the customers straws for their drinks and reached for Repine. “As soon as she fell on the ground, they started kicking her and punching her,” the mother added. Salcedo said a colleague rushed to help Repine and told the assailants she was pregnant. “One of the attackers said ‘We don’t care,’ ” Salcedo told the Kansas City television station. The assault left Repine hospitalized with cuts and bruises to her face, but her mother said the baby is expected to be okay. The victim reportedly filed a police report with Independence cops, whose department did not immediately corroborate the attack, identify the suspects or release their descriptions as of early Tuesday. Wendy’s acknowledged the incident in a statement to WDAF-TV. “We are shocked and saddened over what happened Sunday afternoon at our 40 Highway restaurant,” it read.